"The power of the bones!" 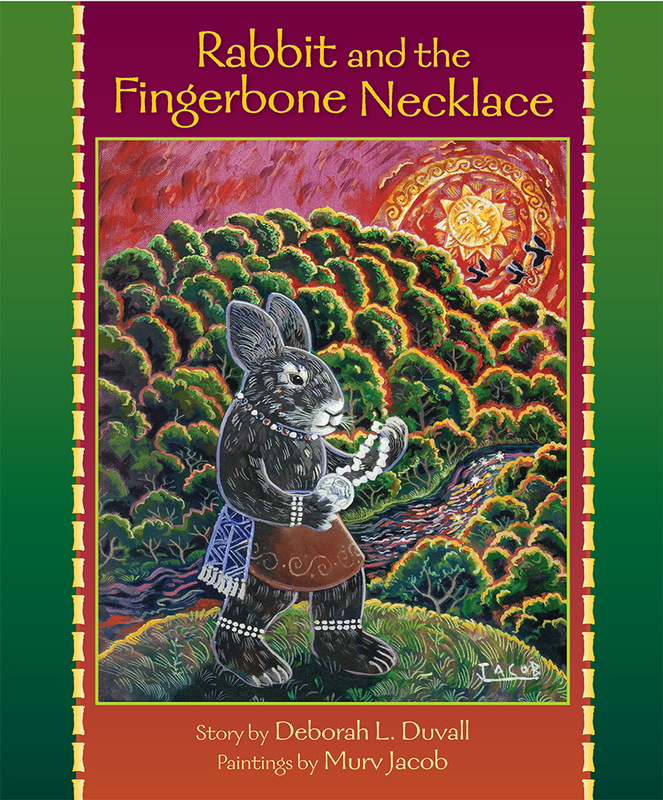 Ji-Stu the Rabbit sings along as he dances around the fire with a flock of shiny ravens. The ravens have traveled a great distance to visit Ji-Stu's forest, and Ji-Stu is pleased to learn that he alone is invited to their dance. He brags, "Why, even these ravens who live far away in the desert have heard of me!" Ji-Stu soon learns that his dancing skills mean nothing to the feathered visitors. They are interested in only one thing-Ji-Stu's favorite necklace! The ravens offer him three beautiful blue-green stones if he will trade, but Ji-Stu is much too clever to let such a valuable necklace go. The ravens watch in silence as he leaves the dance grounds with the oddly shaped beads still tied around his neck. But before the long night is over, a frightened Ji-Stu will know the true meaning of "the power of the bones."